Thanks to everybody for their hard work at the concert on December 9th, and particular thanks to Tim Nail for his sterling piano support. 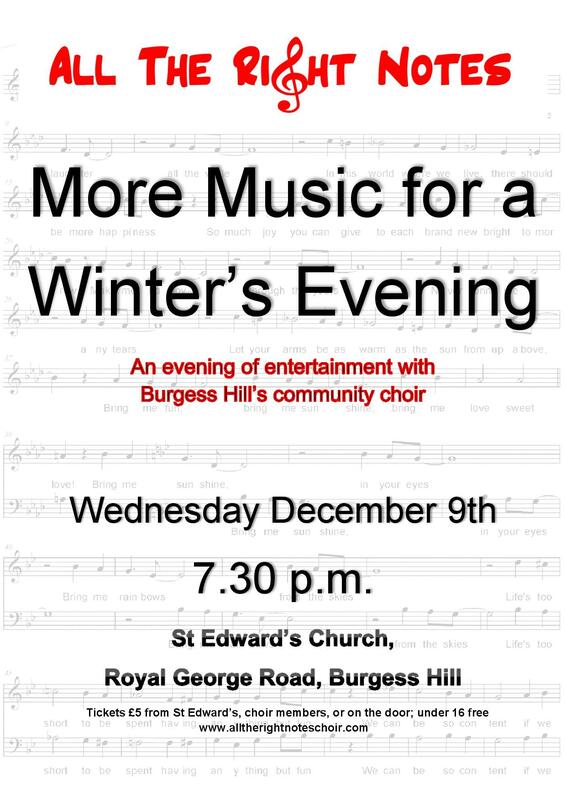 Right Notes will now take a break until the start of 2016, and we will pick up again on January 6th at 7.45 at St Edward’s. That’s a perfect opportunity for new members to come along – we’ll be starting on new music as well as reviving some old favourites.